I have never understood why U.S. presidents don’t come to Nutley as soon as they are inaugurated and give a speech in the Oval, have you? 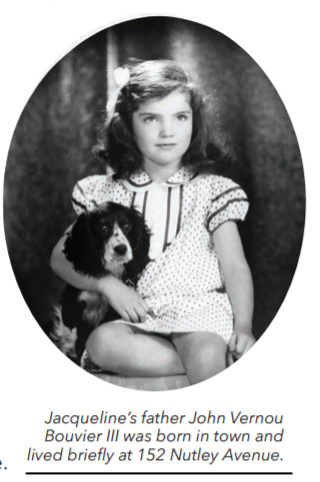 Even though they don’t, at least two of them did come to Nutley, and so did one other famous White House resident. Let’s find out who they were. 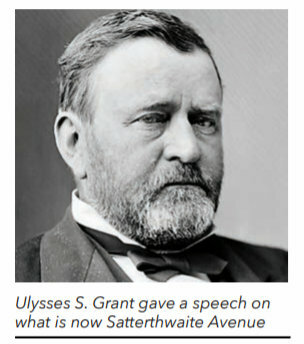 On October 23, 1880, General Ulysses S. Grant, hero of the Civil War and former two-term president, hopped a train in New York and came to town to stump for the campaign of Republican candidate James A. Garfield. It really was a big deal. Grant and a group of GOP bigwigs were greeted by gun salutes as they descended from the train. Then they rode in a carriage drawn by two “coal black horses” to the home of J. Fisher Satterthwaite on what is now Satterthwaite Ave., for lunch. 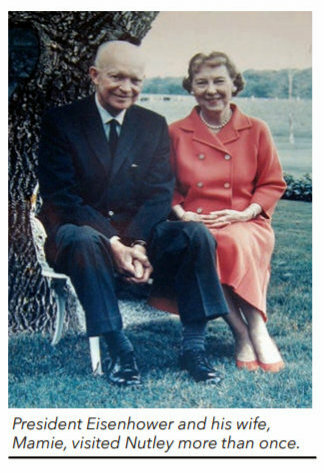 President Eisenhower and his wife, Mamie, visited Nutley more than once. The first visit was probably on July 21, 1928, when they had dinner at the home of Mrs. Eisenhower’s aunt, Mrs. Rudolph Schaaf, who lived at 30 Shepard Place. Shortly after that, Eisenhower and his wife sailed for Europe, where he edited a guide to the graves of U.S. veterans of World War I. The rest, as they say, is history. After a series of promotions, Eisenhower rose to become Supreme Commander of the U.S. Expeditionary Forces in Europe in World War II. Following the war, Eisenhower became President of Columbia University and then, in 1953, President of the United States. Over the years, Mrs. Eisenhower visited her aunt in Nutley on several occasions. The last time was probably on December 29, 1950, when the couple visited Mrs. Schaaf a few days before she died. That pond must have been our beloved Mudhole. Why the makers of the new movie about Jackie didn’t include a scene of her gazing at the Mudhole from her dad’s car is beyond me. It would have been poignant. But all that really matters is that all of us know that it happened. It really did, right here in Nutley. Jacqueline’s father John Vernou Bouvier III was born in town and lived briefly at 152 Nutley Avenue. Author’s note: The information in this article is adapted from the 1961 book Nutley: Yesterday and Today by Ann A. Troy. Copies are available for sale at the Nutley Historical Society.